Holiday apartment for 6 people, 2 bedrooms, situated directly on the Marina of Vilamoura, just 200m away of a big selection of restaurants, bars and shops and 800m from the beach. This is a very central located apartment set on the first floor of a 3 store building. 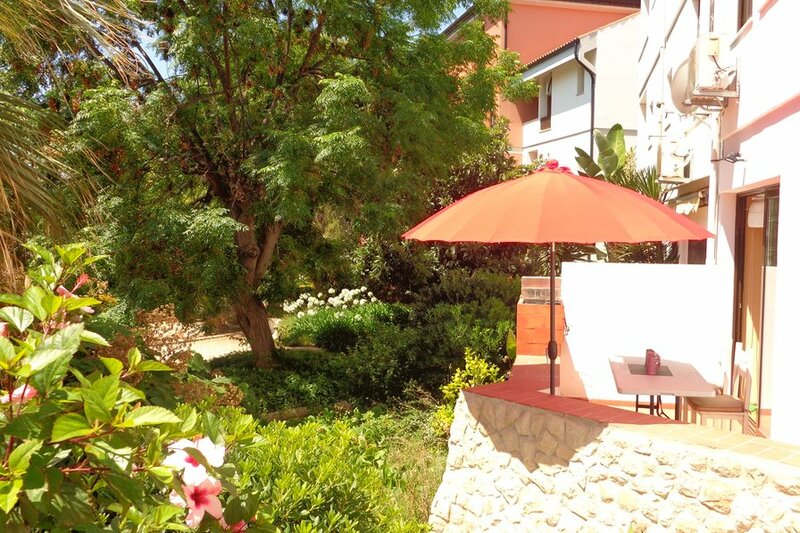 From the apartment you are within 3 minutes at the Marina of Vilamoura. A private car park is at guests' disposal. It is only a 10 minute walk to the beach. The ideal holiday home for a holiday without a car. Kitchen equipped with dishwasher, washing machine, refrigerator, microwave, toaster, blender, kettle, juicer and coffee maker. Terrace with dining table, deck chairs, outdoor shower and a hammock.